The Cooper Union has been ranked #5 in the 2018 Colleges That Pay You Back guidebook. 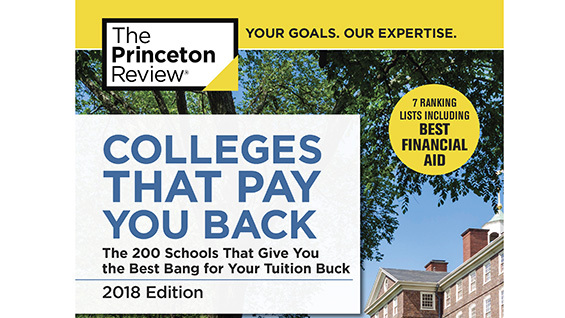 Subtitled The 200 Schools That Give You the Best Bang for Your Tuition Buck, the annual list is compiled by The Princeton Review of "the colleges we consider the nation's best for academics, affordability, and career prospects. Students who attend these schools don't have to mortgage their futures to pay for their degrees—and we believe they will graduate with great career prospects." The 2018 rankings are based on data collected from fall 2016 through fall 2017 via institutional and student surveys and from PayScale.com on alumni career and salary statistics, weighing more than 40 data points covering academics, costs, financial aid, debt, grad rates, and career/salary data.